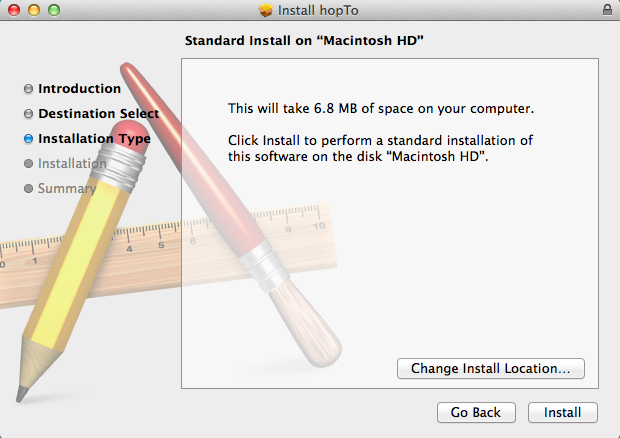 Follow the steps below and you’ll be ready to access documents on your Mac from anywhere using hopTo. hopTo system requirements are available here: Click to view system requirements. 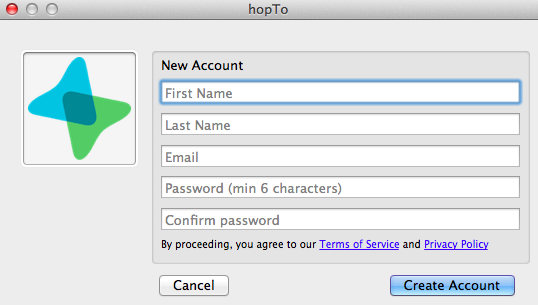 Important Note – Please make sure to install the hopTo app on your iPad and create a hopTo account. You will need the user name and password to complete the steps below. 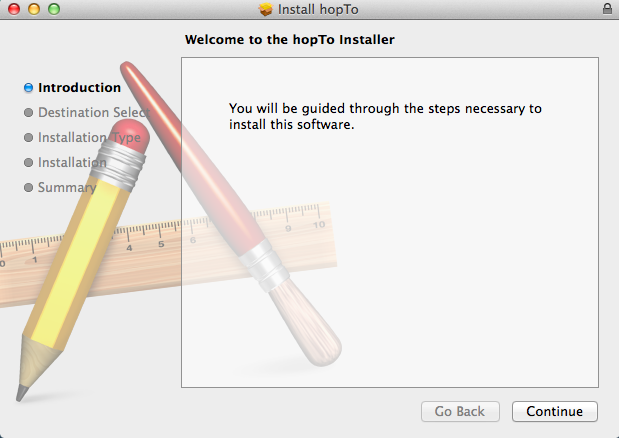 Installation instructions for the iPad hopTo app are available here: Click to view iPad app installation instructions. 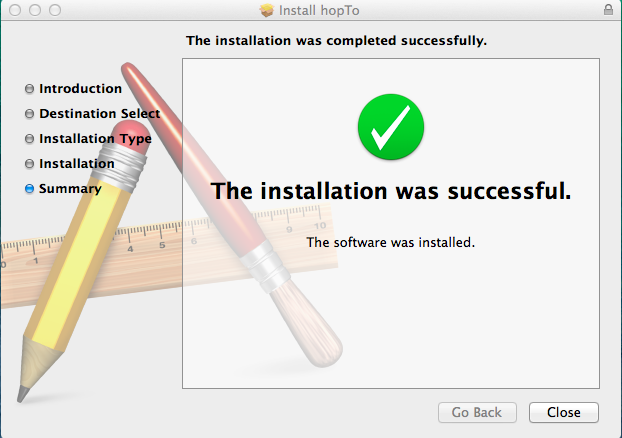 Download the hopTo installer here (Download). 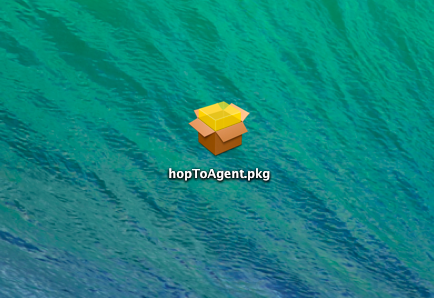 Save the hopToAgent.pkg installation file at a desired your location or choose to run it immediately. If you saved the file - double click it to start the installation process. Follow the easy steps through the installation process. The installation wizard will complete automatically and will display “The installation was successful” upon successful installation. 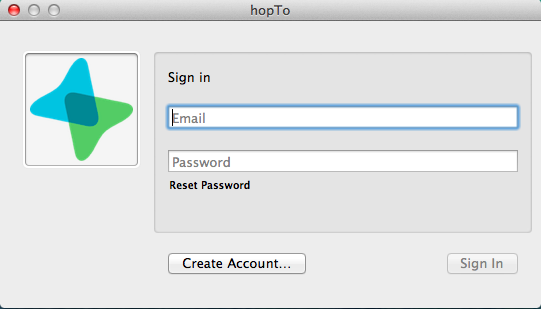 A window will then appear allowing you to sign in to hopTo. You will need to enter the credentials you chose when installing the iPad app. If you do not yet have a hopTo account, you can create one by clicking on the “Create Account” link that will switch to a create account window. Upon successful sign in, a notification will appear near your task bar that you can now access your Mac's documents from the hopTo app on your iPad. The hopTo icon now appears in your menu bar. The green dot next to it designates an online status (red dot designates offline status).